Keynote - It's All About the Start...If You Want to SUCCEED! Success. We all want it. We all deserve it. But the hardest part of success in any venture is often STARTING. In SUCCEED!’s inaugural keynote, industry icon Todd Durkin talks about what it’s like to accumulate “small” wins over time which eventually lead to massive significance over a lifetime. 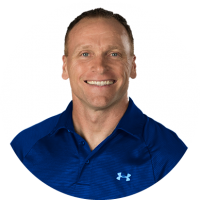 In addition, Todd will share his many seasons of “firsts” and 10 lessons learned in creating one of the strongest brands in fitness. This includes lessons learned starting a business, growing a business, writing a book, starting a coaching program, training pro-athletes the first-time, building a team, delivering keynotes, and hosting an event/conference for the first time. If you desire enormous success and extraordinary significance in your life, this keynote is going to motivate and inspire you to the deepest parts of your soul. This “first-time” keynote is one you are not going to want to miss - BE THERE!! !